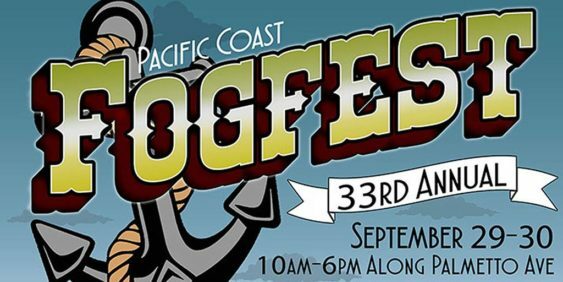 Say goodbye to summer with a weekend of sun, sand, and surf at the 33rd annual Fog Fest in Pacifica featuring live music, art, food and activities. The Fog Fest kicks off Saturday morning at 10 am with the Discover Pacifica Parade and Marching Band Competition. Then stay and enjoy Arts and Crafts booths, Food and Beverage booths, Music & Entertainment, Family Fun Fest and a variety of other activities. You’ll find great festival food, wine, beer, the signature Fog Cutter Rum concoction, a Sunday afternoon Family Fun Fest, a kids Classic Amusement Area with carnival like rides and the professional sand sculptor Bill Lewis of Santa Cruz Sand creating sand sculpture magic all day, to name a few. Festival proceeds benefit 50 local organizations that partner with the Fog Fest Organizing Group (FFOG) over the 2-day weekend. To date this accumulating amount has reached over 1 million dollars. Your purchases at Fog Fest help these organizations thrive year after year and we thank you.